The bodies of 47-year-old Brian Baptiste of Golden Grove, Chateaubelair, originally of Owia and 25-year-old Glenroy Agustin Delpesche of Petit Bordel, were found at sea on Thursday. 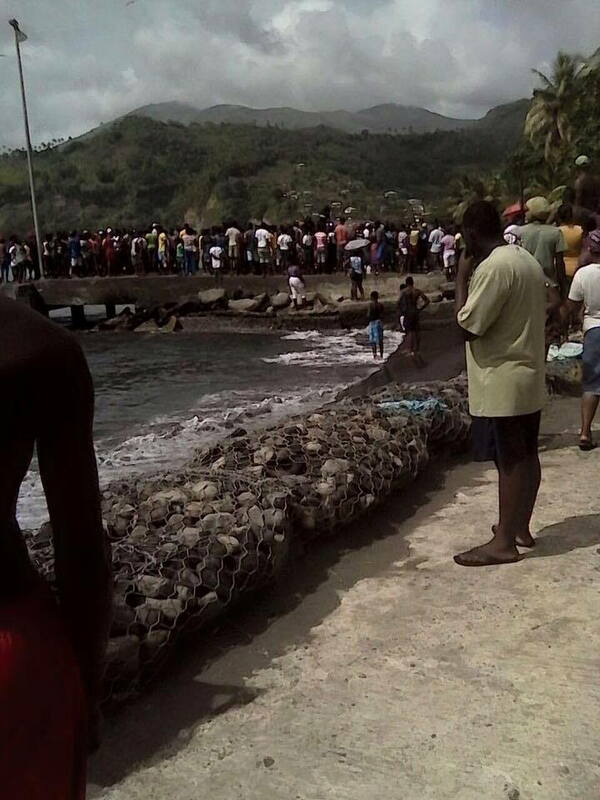 The two men last seen alive on Tuesday, had reportedly left to go fishing. Chateaubelair residents Mathias “Chubby” Myers and Dominic Pipe found Delpesche’s body on the seafloor as they were spearfishing in Trois Loups Bay, an area accessible only by boat some two miles north of Richmond Bay. Batiste’s body was found on the rocks some distance away, where it seemed to have been deposited by the sea when the tide was higher, his uncle, Alvin Westfield, who was among the men who found the bodies, told I-Witness News. A third North Leeward resident who is said to have also gone fishing with the two men on Tuesday is also said to be unaccounted for.